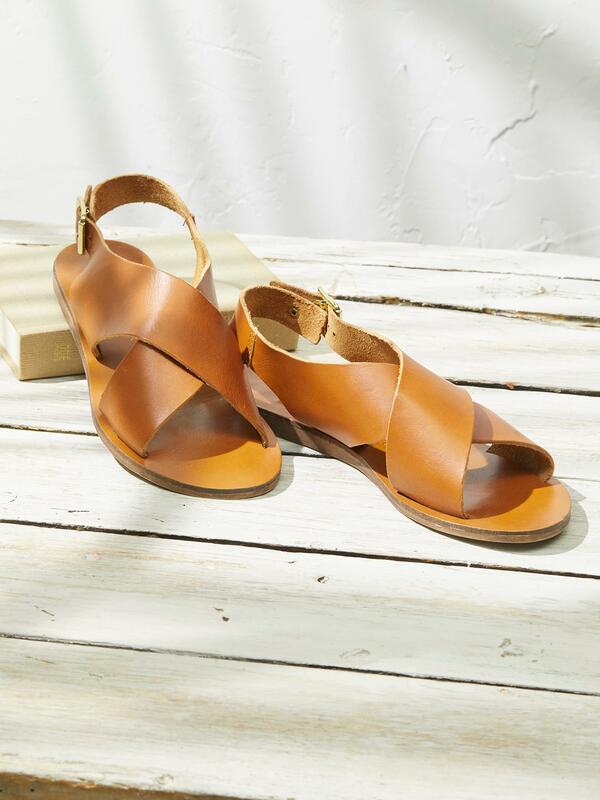 Ready to complete silhouettes for summer days, these sandals go with the streamlined elegance of crossover straps. Open toe. Wide crossover straps and adjustable ankle straps with metal buckle. Heel, 1.5cm approx. Leather uppers. Bonded leather sock. Elastomer sole.